Runoff is past, real heat has arrived and the time is never better for the fly-fishing “snob” looking for some dry-fly action. Real summer is dry-fly prime time, as this truly is the time of year when I can head out with a fly-rod in hand and lay down odds of out-fishing the guy with worms or hardware. 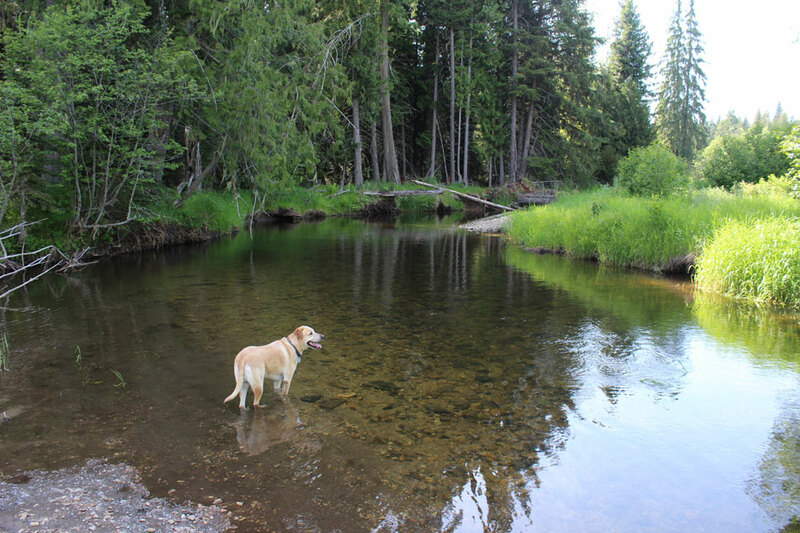 At least on the region’s creeks and rivers I will, because as the dog days of summer arrive trout living in running water begin looking up for food. Odds are good on the average day, as the cooling sunset hours arrive you’ll find a hatch of some sort occurring on a stream near you. While you wait for the main event that will cause you to drag in late, your spouse giving you that look as they pull your over-done dinner from the oven, you can find consistent success tossing general attractor patterns or terrestrials along undercut banks and beneath overhanging trees providing a bit of shade and cover. Just last week, driving back to the Lewiston, Idaho, area from a visit to eastern Oregon, I couldn’t help but stop on the Little Salmon River (creek really) and tossing a few flies into the swirling pools beneath that water’s many waterfalls (and, yes, there is always a fly rod in my truck no matter where I go). The river was full of spawning salmon, which is always awesome to witness, and the river’s rainbows were hungry. I worked up through a rugged stretch throwing a smallish yellow and peacock Stimulator that might have passed as a caddis, because a few seemed to be fluttering about. I quickly caught some truly-amazing trout, jumping rainbows in the 14- to 16-inch class stout enough to pull drag. Sometimes new water surprises you like that, and this was certainly one of them. Based on the pure strength and head-shaking jumps I suspected steelhead genetics, ‘bows just about ready to head to the ocean on the next high water. I had covered maybe a half mile of water and had a half dozen of these chunky battlers to my credit (each gently released), plus many more average rainbows in the 8- to 12-inch range. I was ready to call it a successful experiment, having driven past these waters on many occasions and wondered about its potential. I reached a larger waterfall and the end of the line, save strenuous climbing, when I began to notice salmonflies on the rocks. I knew what to do. I snipped the Stimulator and tied on an unwieldy, orange monstrosity of foam, dubbing, ribbing, elk hair and hackle and started fishing back through the water I’d already covered. The results were pretty remarkable, given the fact I’d already worked that water pretty hard. Just goes to show, you can fool some of the trout some of the time, but having exactly the right pattern can make you a killing. So, even when fish seem willing enough it sometimes pays to remain observant, and maybe change things up a tad until you find that fly that really rattles their cage. I climbed out to my truck after bringing my big-trout tally up to an even dozen. From here forward, fly size growing in whole millimeters with each passing week, is what I consider the highlight of summer dry-fly fishing—hopper time. Right now you’ll want to stock up on, say, size 8 hopper patterns to mime the immature grasshoppers beginning to make their presence known. By the time August rolls around a size 2 hopper isn’t out of the question, and will occasionally net you some of the biggest trout of the season. Big food, big trout. Some of my favorite hopper creeks aren’t all that inspiring at first glance. These little feeder creeks and headwaters are largely passed over by anglers speeding on to bigger and better things. But here’s the deal: as weather turns hotter, larger rivers often become too warm for comfort for cold-water trout. Like summer vacationers heading to the high country to get relief from the heat, trout—many of them larger than these jump-across creeks would indicate—nose up out of the big rivers and into these small waters to enjoy cooler, spring-fed temperatures. I regularly catch some of my biggest cutthroats of the season (gorgeous trout taping 18 or 19 inches) in meadow creeks I can jump across in many places. 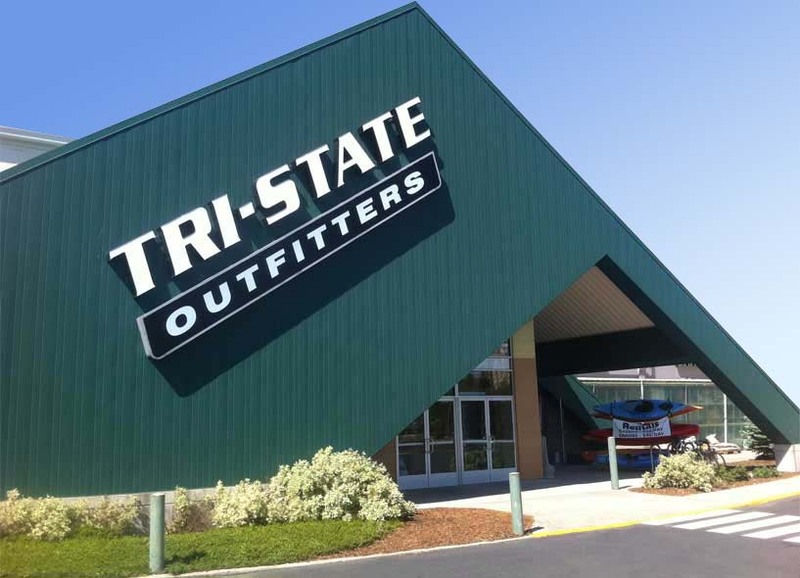 When I still worked at Lewiston’s Tri-State Outfitters customers always wanted to know what the magic fly of the week was. In truth, it’s pretty difficult to go wrong during late summer. Grab some Adams in sizes 16 to 12, in case you have to match a general hatch. You’ll, obviously, need some caddis, the Elk Hair in various shades and sizes (gray, olive, yellow and peacock mainstays). No summer fly box would be complete without Stimulators, Royal Wulffs, Humpies and hoppers (spun deer hair or foam to float long in rough Northwest waters). The modern, rubber-legged foam incarnations have become some of my favorites due to this factor alone. Some look like nothing in the natural world, but they’re buggy and catch trout like crazy. For the next few months one thing is for certain. Despite heavy work schedules and soaring heat, every chance I get I will be on an area creek or river tossing dry flies to inviting holding water. 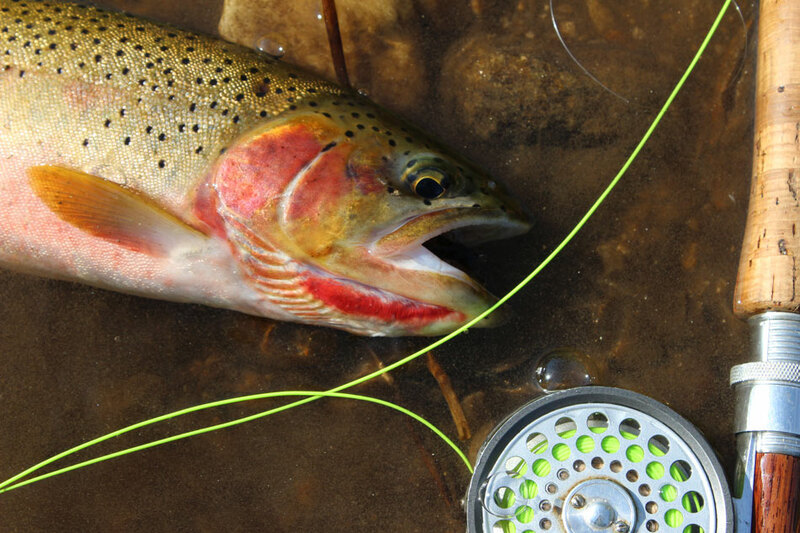 Fishing—dry-fly fishing in particular—just doesn’t get any better than this. For the purist whose ideal involves trout breaking the surface to inhale floating flies, the next few months are pure nirvana.